Issue 25 On Sale Today! Run (don’t walk) to your nearest WhSmiths because Rock n Roll Bride magazine issue 25 is on general sale from today! Want a peek inside? Check out this blog post. Would prefer to stay inside and have your copy delivered to your door? Order one here (with free UK shipping!) or subscribe below instead. Run (don't walk) to your nearest WhSmiths because Rock n Roll Bride magazine issue 25 is on general sale from today! Want a peek inside? check out this blog post. Would prefer to stay inside and have your copy delivered to your door? Order one here (with free UK shipping!) or subscribe below instead. Issue 24 On Sale Today! Happy New year lovers! I hope you had the most joy-filled, relaxing festive period. Ours was super chilled. We did Christmas day with my family, New Year’s with our besties at their house and that was pretty much it! It was actually really nice to lay around, watch all the movies and have no responsibilities or major plans for two weeks! It’s certainly rested us (which we both needed) and has us sooo ready to attack 2019 with gusto! First order of the year is that issue 24 is now on sale! Of course many of you have already pre-ordered and had your magazine delivered straight to your door (in fact so many of you do this now that Royal Mail have to send a van especially to us to pick them all up!) but if you haven’t, we’re also stocked in WhSmiths, Sainsburys and independent newsagents up and down the UK. If you’d like a bonus sneaky peek inside the issue you can catch some previews over here. This issue is also our first ever BUMPER ISSUE meaning there’s more pages, more real weddings, more advice and more inspiration than ever before! And it’s still just £4,99! What a bloody bargain. If you’d like to order this single issue you can do so here, or you can subscribe below. We ship worldwide and UK postage is free! Happy New year lovers! I hope you had the most joy-filled, relaxing festive period. Ours was super chilled. We did Christmas day with my family, New Year's with our besties at their house and that was pretty much it! It was actually really nice to lay around, watch all the movies and have no responsibilities or major plans for two weeks! It's certainly rested us (which we both needed) and has us sooo ready to attack 2019 with gusto! Issue 24 is Now Available for Pre-Order! 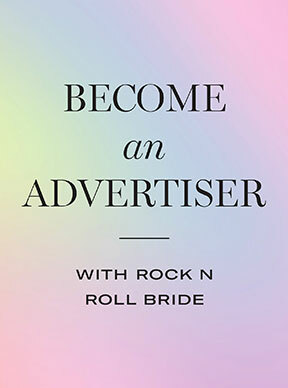 If there’s one thing I think would possibly make Rock n Roll Bride magazine better… its MORE Rock n Roll Bride magazine! Which is why I’m super excited to introduce you to issue 24, our first ever BUMPER ISSUE. That means this issue has more pages, more real weddings and more wedding planning inspo and advice that EVER BEFORE. We’ve upped the page count for the first time and all for the same £4.99 you’re used to. I know, we’re just too damn good to you. The issue is now available for pre-order via our shop page (with free UK postage and worldwide shipping available). The issue will be available in UK stores from January 3rd, but if you want to ensure you nab a copy, and maybe have it land on your doorstep (in our signature shiny pink packaging) before the shops even get a sniff of it, then you can subscribe or pre-order this single issue right now. 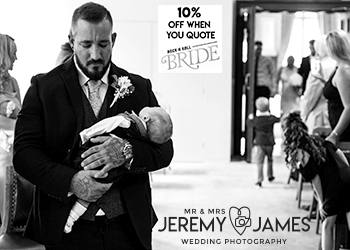 Here’s a little sneaky peek of just some of the content you’ll find inside…And yes, that is a real bride gracing our cover. What a bloomin’ BABE, just you wait until you see the rest of the wedding. I mean damnnnn. If there's one thing I think would possibly make Rock n Roll Bride magazine better... its MORE Rock n Roll Bride magazine! Which is why I'm super excited to introduce you to issue 24, our first ever BUMPER ISSUE. That means this issue has more pages, more real weddings and more wedding planning inspo and advice that EVER BEFORE. We've upped the page count for the first time and all for the same £4.99 you're used to. I know, we're just too damn good to you. Issue 23 on Sale Today! Hey beauties! The brand new issue of Rock n Roll Bride magazine in stores today! We’re stocked in WhSmiths, Sainsburys and independent newsagents up and down the UK. If you’d like a bonus sneaky peek inside the issue you can catch some previews here. 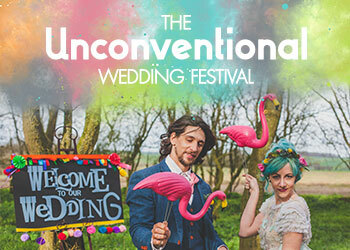 This issue is packed with 165 pages of exclusive weddings, planning advice, decor and style ideas and oodles of inspiration to help you pull off your perfect wedding day. If you are based outside of the UK, or you’d prefer to have your copy delivered direct to your door, then you can subscribe below or order a single issue here.